Broccoli has long been touted as one of the healthiest veggies because of its nutritional makeup. This superfood is loaded with fiber, antioxidants to fight cancer, and vitamin C to aid in iron absorption. While broccoli doesn't provide as much calcium as a glass of milk, it is a great source of calcium to help control blood pressure and build strong bones. 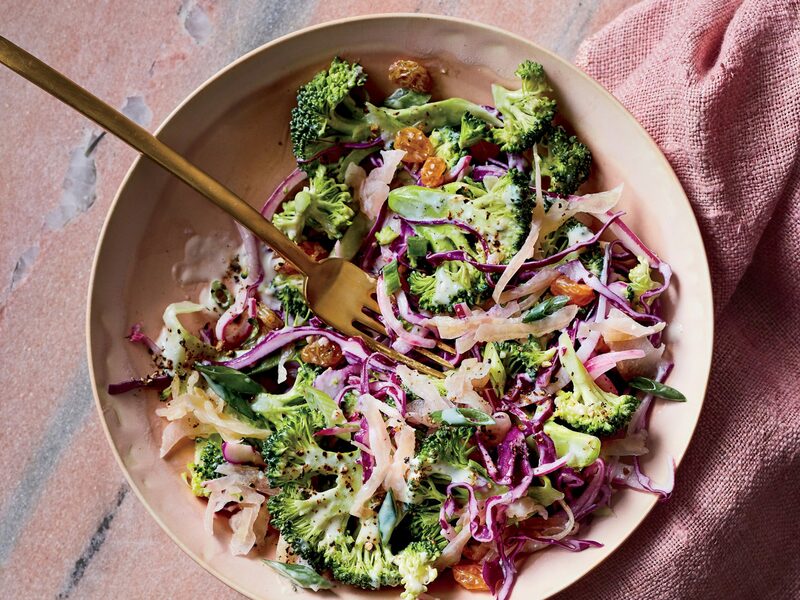 Aim to eat broccoli as well as other cruciferous vegetables (cauliflower, cabbage, and Brussels sprouts) several times per week to reap the good-for-you benefits. Some version of broccoli, usually laden with cream and cheese, lands on many a Thanksgiving table. But this dish, with its beautifully balanced flavors, is much lighter--and vegan. Don't let this soufflé's airy texture fool you. It is densely packed with a variety of vitamins and minerals. 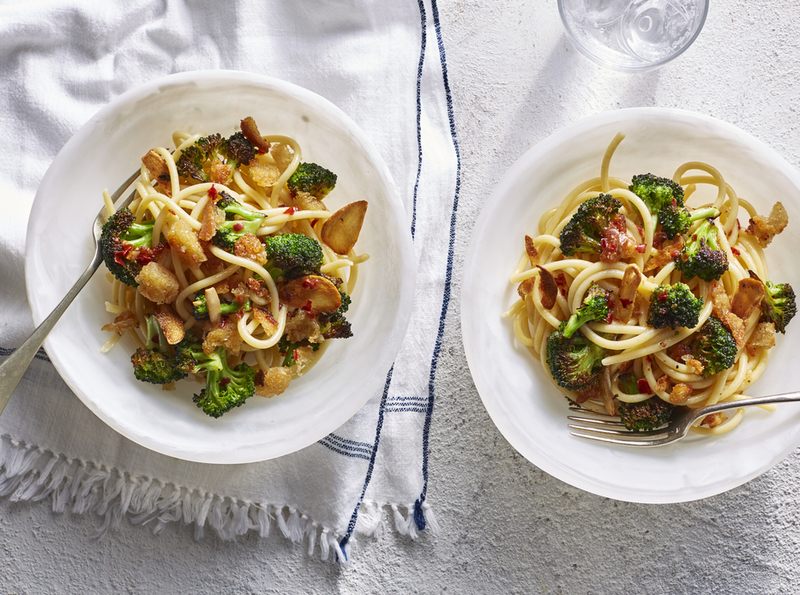 This dish is an elegant solution for your leftover broccoli. You don't need to worry about going hungry after this one-dish meal because it contains 25 percent of your daily fiber needs. And even though this is a meatless dish, you'll get plenty of protein from the tofu. 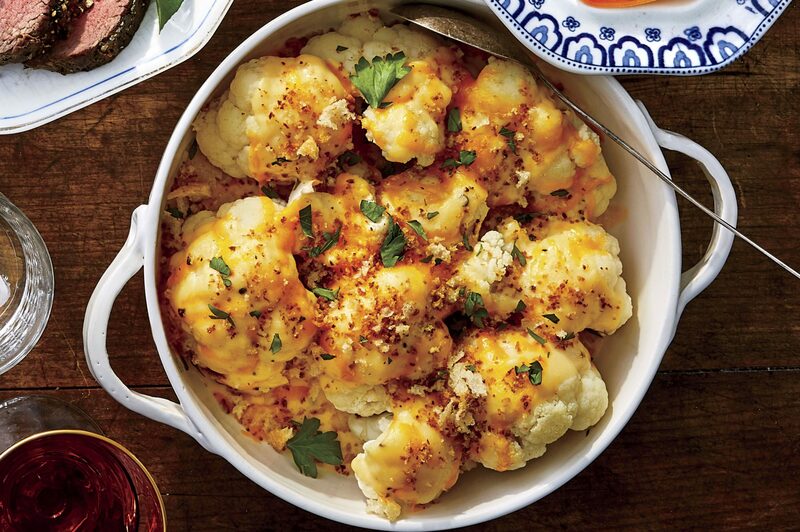 Pairing the toasted garlic with broccoli gives this side dish a double dose of heart-healthy antioxidants. When choosing fresh broccoli, look for heads with compact clusters and a bright green (not yellow) color. 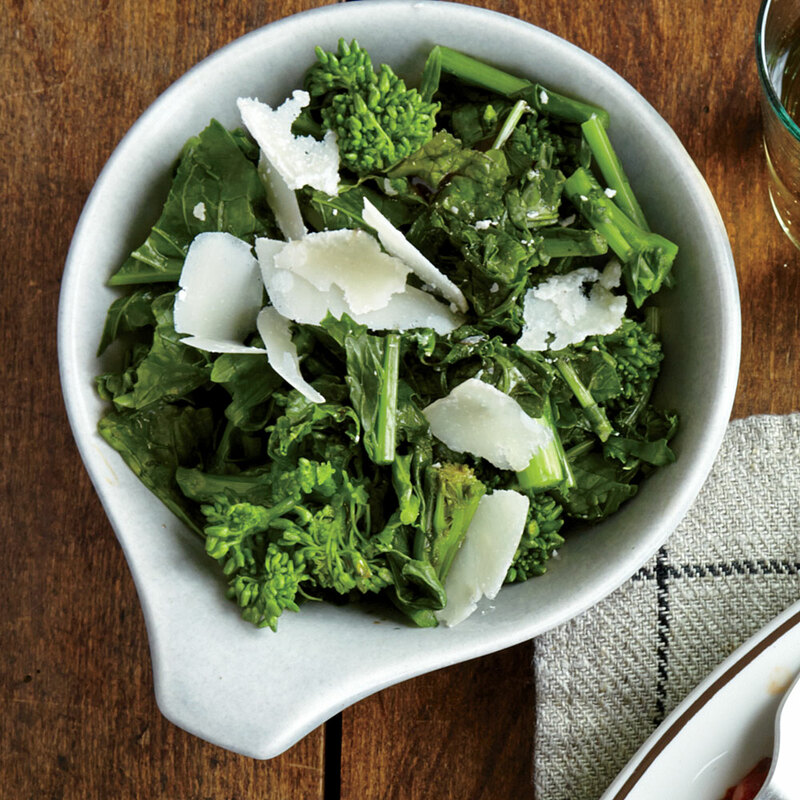 Prepare this light and flavorful side dish during the winter months when broccoli is in peak season. Try fresh thyme and grated Parmesan cheese for a low calorie flavor kick. Get a triple dose of vitamin C from the combination of broccoli, orange, and watercress. Like broccoli, watercress is packed with phytochemicals and antioxidants making this superfood salad a must-have with any meal. 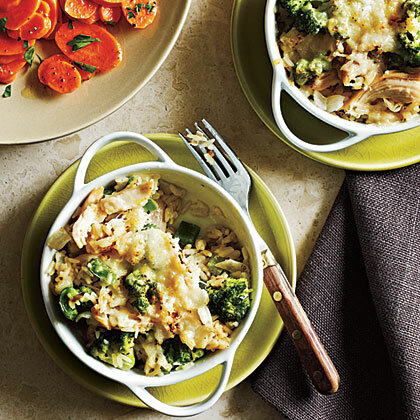 This kid-friendly recipe is an excellent way to prepare broccoli that the whole family can enjoy. Make sure to remove any excess liquid from the frozen broccoli for a light and fluffy product. This creamy soup provides more than one-third of your daily calcium needs and around 30 percent of your protein requirements. With the abundance of vitamin C and potassium found in the broccoli, this is the perfect soup for those sick days in bed. 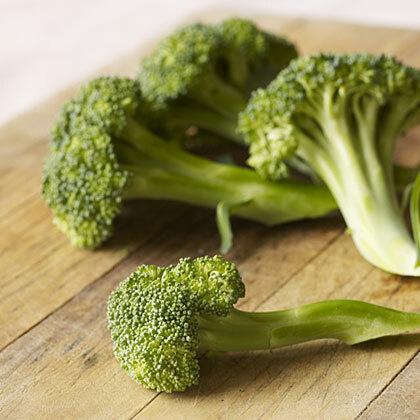 What do you look for when choosing the best fresh broccoli?